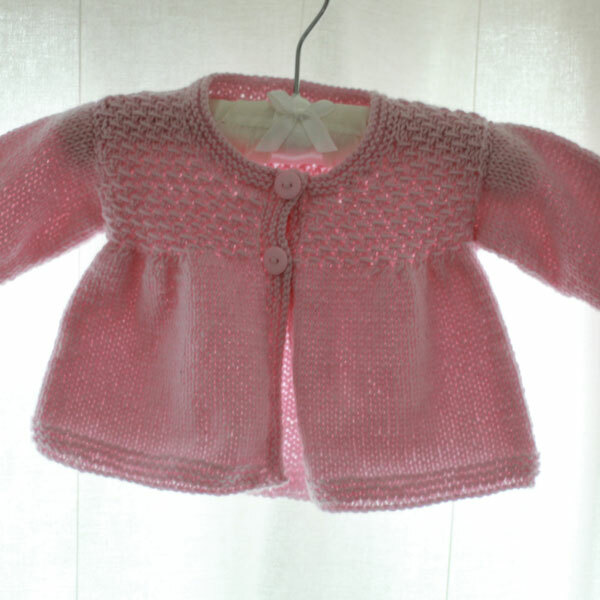 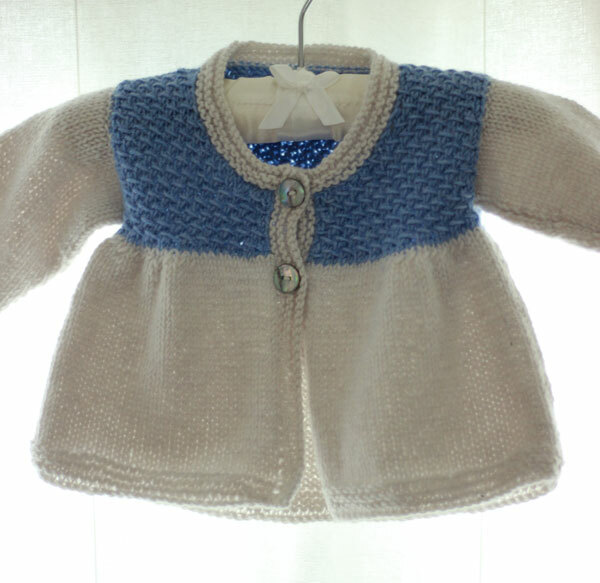 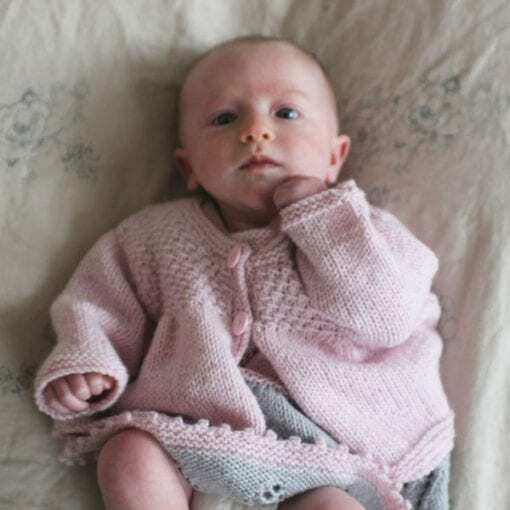 Pure cashmere baby cardigan or matinee jacket with cross-stitch yoke and garter stitch hem and cuffs. 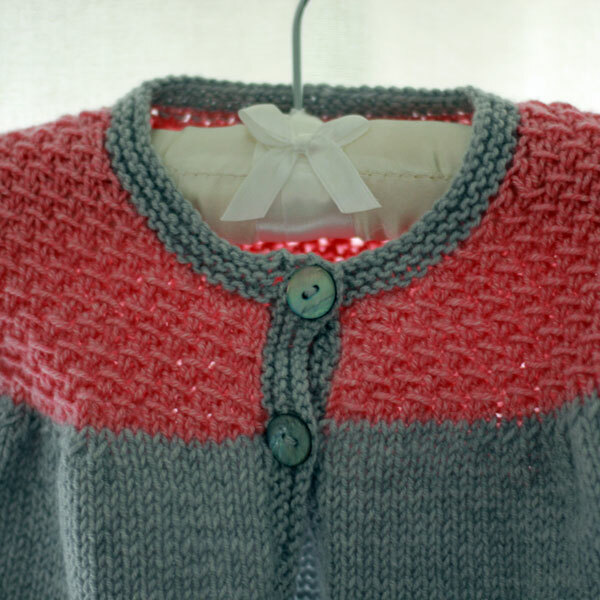 Can be worked in one or two colours. 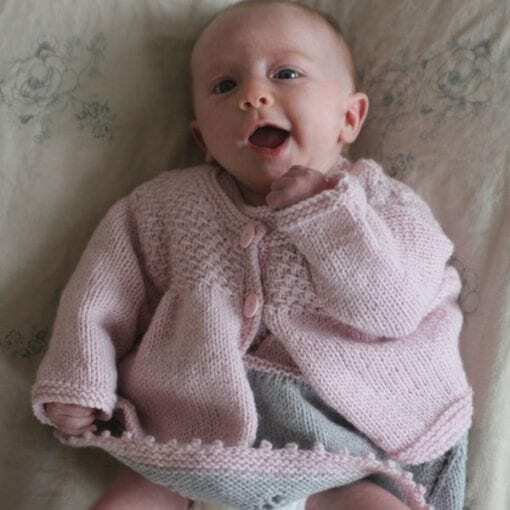 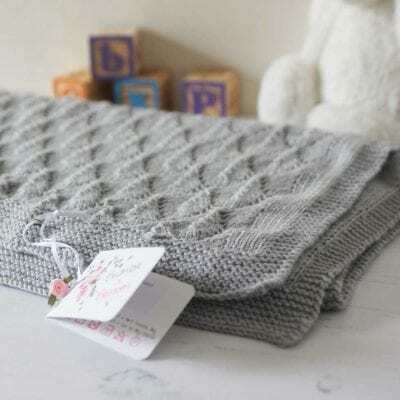 Available as a pdf download, printed pattern or as a Knit Kit.